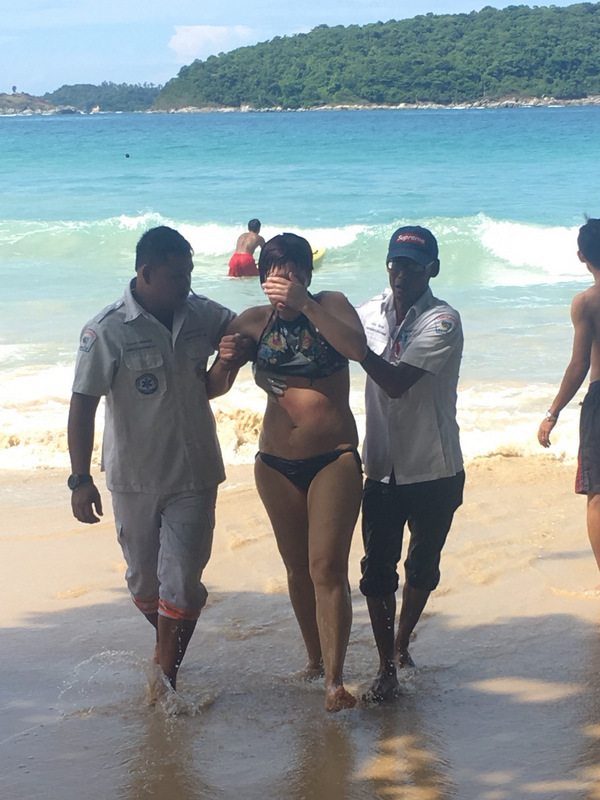 PHUKET: A Russian tourist exhausted after she was pulled away from the beach by a dangerous rip current was rescued and brought safely back to shore at Nai Harn beach yesterday (June 28). 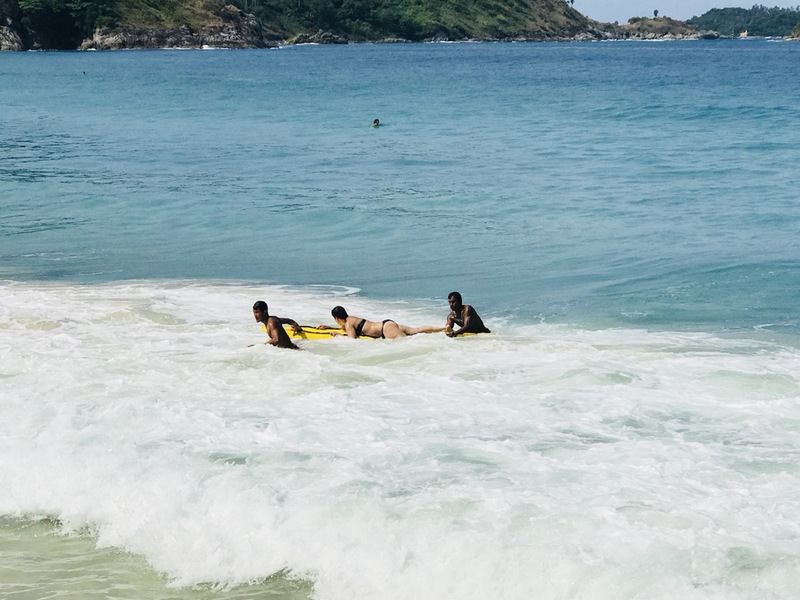 The rescue, by lifeguards with the aid of a local surfer, came as the southwest monsoon weather continues to create strong waves and dangerous “flash rips” along the major tourist beaches on Phuket’s west coast. 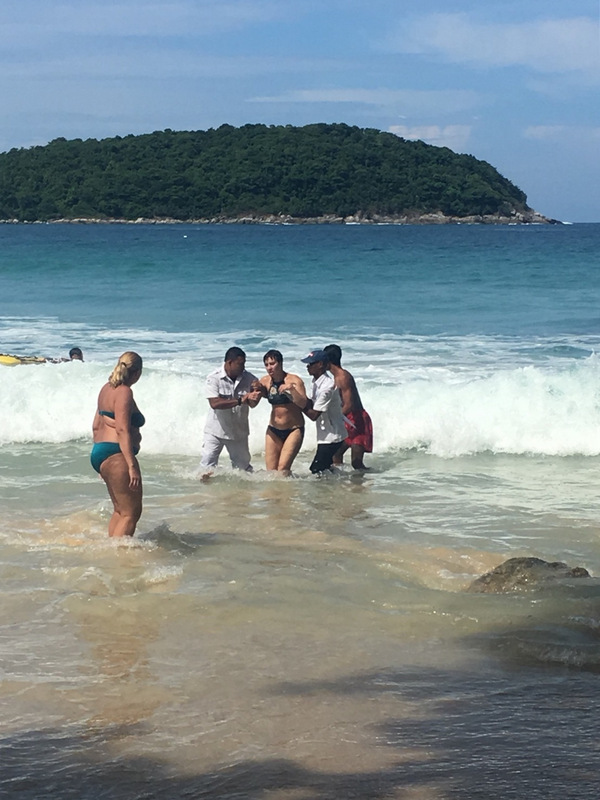 Rawai Mayor Aroon Solos reported that the woman was a guest at the nearby All Season Hotel in Nai Harn, but was rescued from a dangerous rip at the southern end of the beach some 400 metres away. Rescue workers from Rawai Municipality administered first aid and took the woman to hospital for a pracutionary checkup, Mayor Aroon said. “She is now safe,” he said. The rescue came while a 23-year-old Chinese tourist drowned at Karon Beach yesterday afternoon after going into the sea despite red flags being placed along the beach. The two lifeguards stationed at the beach warned the tourists against swimming in the area three or four times but the tourists ignored the warnings. 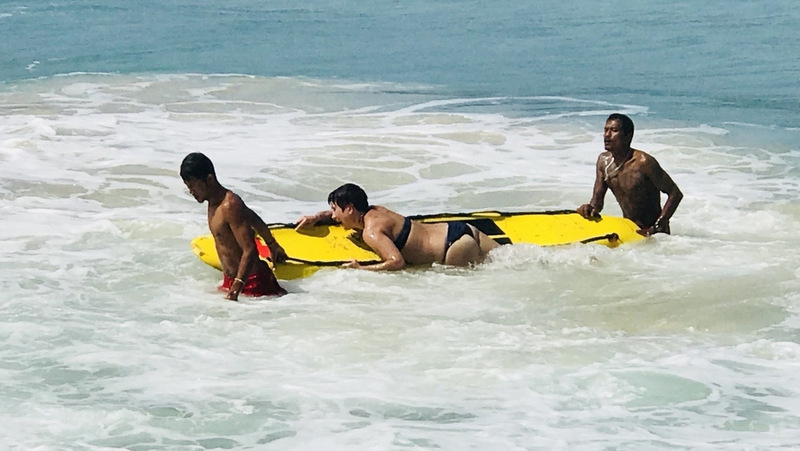 Daren Jenner, the International Marine Safety Officer, Thailand Section Chief, for the International Surf Lifesaving Association (ISLA), told The Phuket News yesterday, “The drowning at Karon Beach today was right on cue with the arrival of Phuket's rip currents. The full moon creates large tidal swings. On the outgoing tide, the speed and power of these rip currents increase. Rorri_2 is right. Problem is none of them will creep out of their local phuket bulb. Education is village focussed. That is how the Country's elite want it to be. Guess most of the boys only watch at night the free 5 channel thai tv channels. Bondi? They never hear of it, and never will hear. The officials, and "lifeguards" should look at an Aussie show called "Bondi Rescue," then they will see how real professional, and volunteer, lifeguards work, those on Phuket should be ashamed to call themselves "lifeguards." I think the crux of the issue Wiesel, is that this is a beach destination for people around the world, yet Phuket officials continue to be completely remiss in their responsibilities to recognize this significant threat to tourists, and to adequately address those threats by providing a professional and well-trained lifeguard service. It should be part of being a world class destination. @ BenPendejo: sorry but that sounds contradictory. if surfers save people far from the beach than red flags did not have little meaning. And if red flags are the whole day than nobody wants to take responsibility to say water is safe. Means people have to stay on land or are responsible by themself and should not blame others. Be adult means care yourself. Some people just are like lemmings.